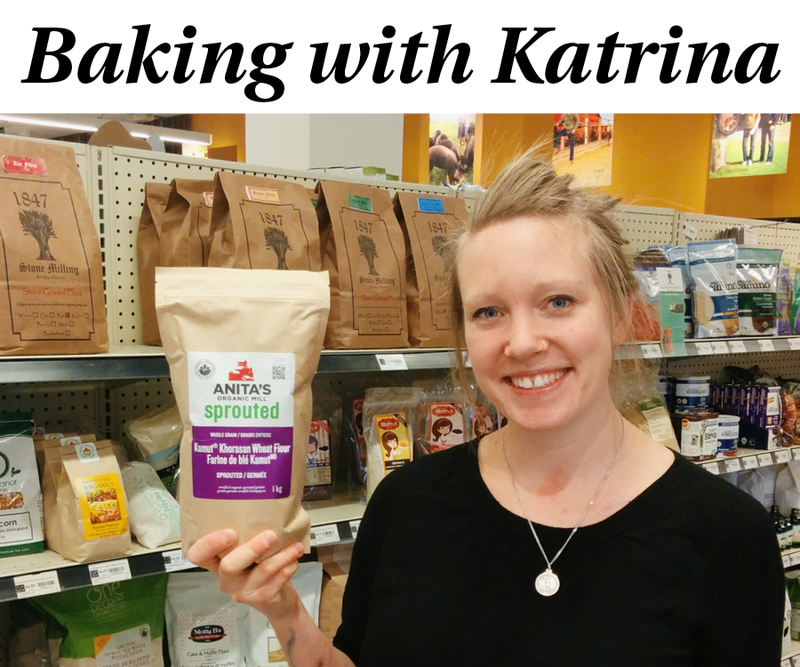 Katrina is an expert baker who just returned from a stint at the San Francisco Baking Institute, and she is also a member of the co-op! She’s joined us over the past few weeks with some baking tips and recipes. We’ve got many different kinds of flour on our shelves, which can definitely be a bit overwhelming, so she’s been focusing in on those specifically. We’ve saved the best for last! Kamut (soul of the earth) flour is a favourite of mine. Open up the bag of flour and give it a whiff – you’ll notice hints of wet straw and bread rising. The flavour is mild, almost sweet and buttery. Kamut is an ancient grain, that was rediscovered around 1949 in the tombs of Egyptian Pharaohs. It was brought to America and grown to produce enough of a crop for production. How neat is that? It’s only appropriate then to give you a recipe for another one of my favourites – pancakes! 2. In a medium bowl, whisk together the wet ingredients until thoroughly combined. 3. Using a spatula mix the wet ingredients into the dry mix. For tender pancakes it is important that you use a light hand when gently folding the batter together with the spatula. The batter should be the consistency of a lightly whipped cream and have a subtle orange hue. 4. Although the batter is best if used right away, it can sit for about an hour on the counter, or overnight in the refrigerator. 5. Heat a pan over medium heat until water sizzles when splashed onto the pan. Rub the pan generously with butter – this is the key to crisp, buttery edges. Working quickly drop 1/4 mounds of better onto the pan, and once the bubbles have begun to form on the top side of the pancake, flip it over and cook until the bottom is a dark golden brown. 6. 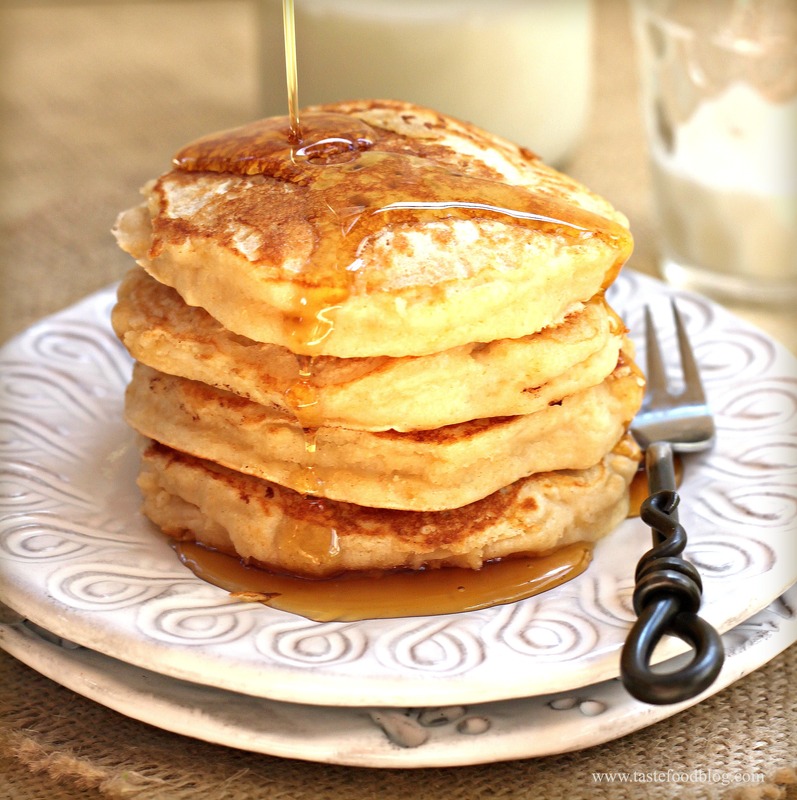 Serve the pancakes warm, passing around the spiced sugar mix so that everyone can sprinkle their pancakes with it!